I am a professionally published fiction author, covering a range of formats and styles. I enjoy world-building both within shared universes and on my own. The Doctor, Fitz and Anji are caught up in a battle of perception during the Spanish Civil War. 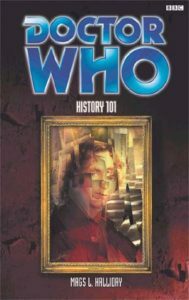 This Doctor Who historical novel is part of the on-going eighth Doctor series published whilst the show was off-air. Available secondhand. Please don’t download pirate PDFs. Crows of every nation are equally black. This steampunk novel brings the futuristic War in Heaven to Earth in 1900. 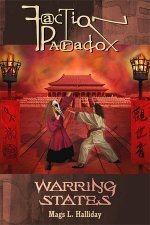 Two rival women seek the same source of power amidst war-torn China. Now available in eBook format with bonus material including two supporting short stories and my notes and references. Available in kindle, nook and kobo. Holmes and the Indelicate Widow is available in The Encounters of Sherlock Holmes, edited by George Mann (Titan Books, 2013). Sovereign, a short story, is available in Iris Wildthyme and the Celestial Omnibus (Obverse Books, May 2009). The Bad Blood Diaries, a novella, is available in Professor Bernice Summerfield and the Vampire Curse (Big Finish, December 2008). Gudok, a short story, is in <strong>Doctor Who: Short Trips – Transmissions (Big Finish, July 2008). Strays, a comic strip with art by Lee Kennedy, is reprinted in The Girly Comic Book vol 1 (Factor Fiction, 2008) or can be read online. Cabinets of Curiosities, a short story, is in Bernice Summerfield: Collected Works (Big Finish, September 2006).